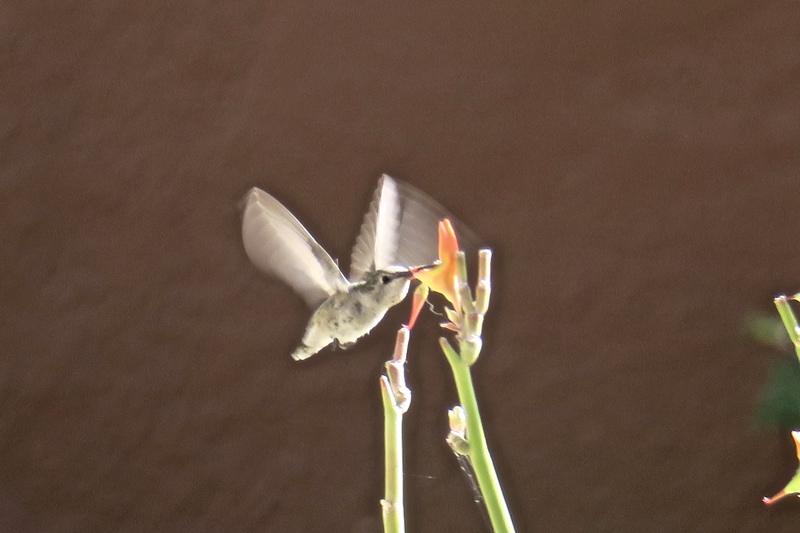 As a bird photographer I have had varying degrees of success. You have read, for example of my efforts in tracking and securing photos of my local illusive cardinal as well as my continuing learning curve on patience. The failures have helped develop new photography skills and the rewards have been gratifying and thrilling. 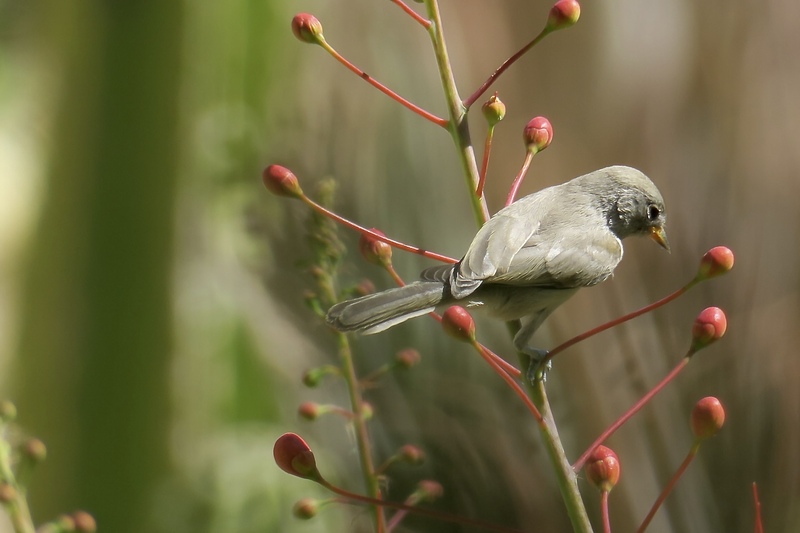 In addition to the difficulties inherent in photographing birds – their refusal to sit still or their insistence on hiding in thick foliage, size also matters – the teeny ones, even if perfectly still in a clear setting are often difficult to spy. 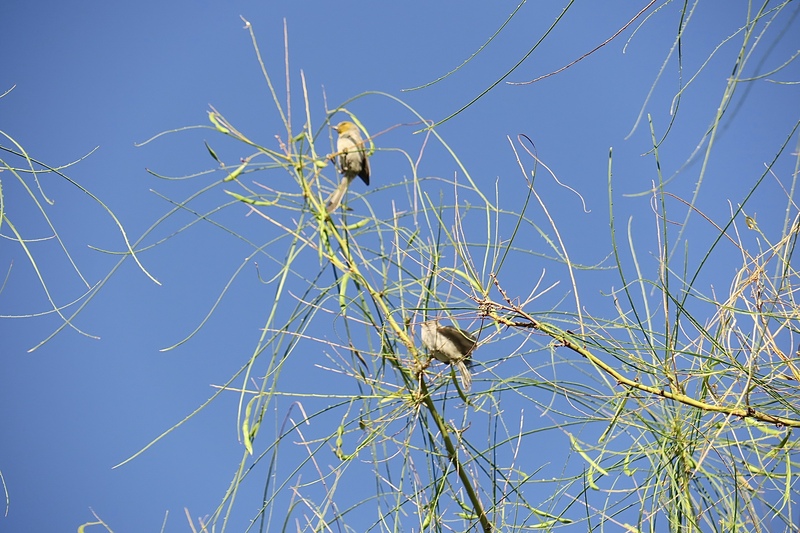 The local small birds in Scottsdale were no exception. 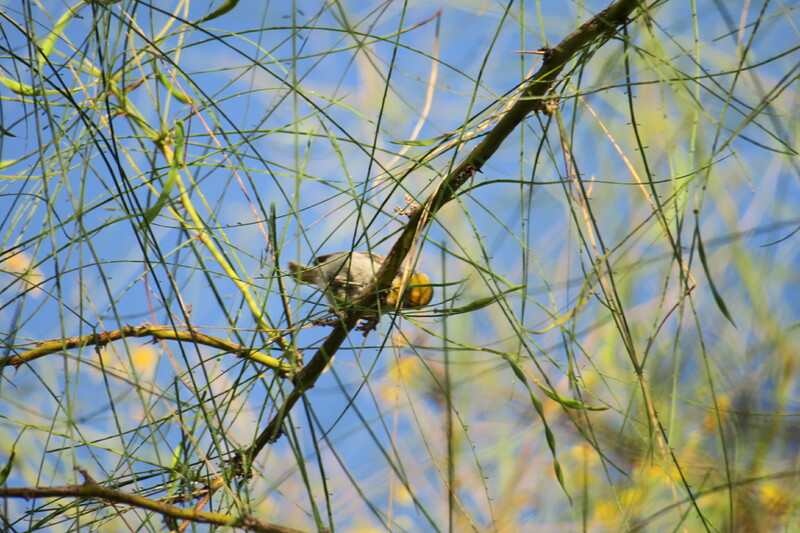 The gnatcatcher may be small but it has quite a collection of talents. 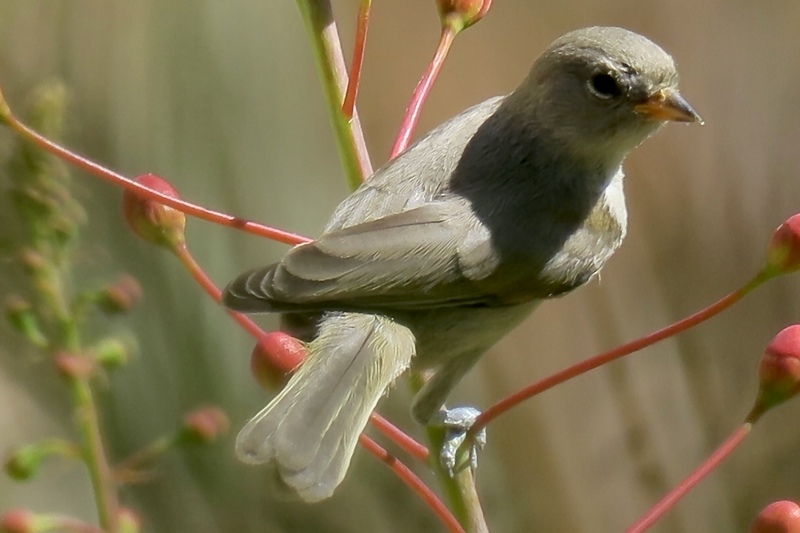 For one, they mimic the songs of other birds, and with the same coloring are rightfully called “mini-mockingbirds.” They also build nests constantly – one for breeding and the rest for everyday living, often rescuing materials from previous nests – quite the conservationist! 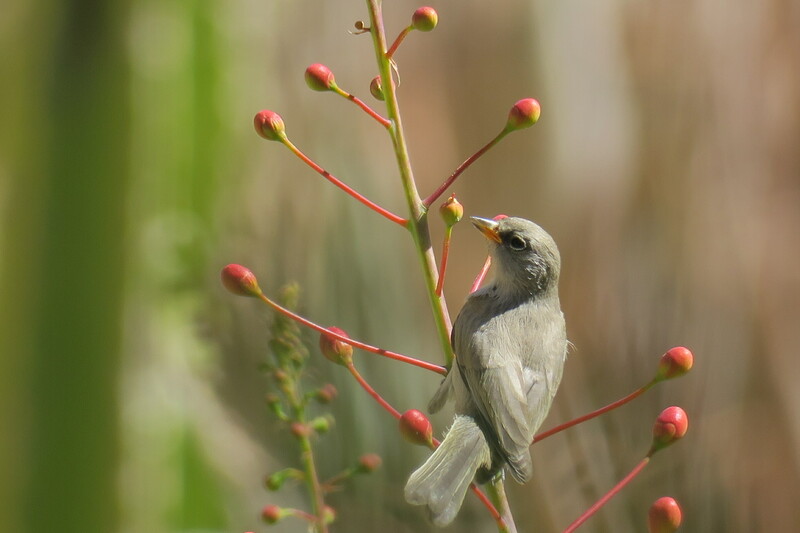 Despite its name, gnats are only a small part of this bird’s diet; they also eat small beetles, caterpillars, grasshoppers and other invertebrates. The gnatcatchers are fiercely territorial, chasing away intruders with displays, song and if necessary head to head battles. 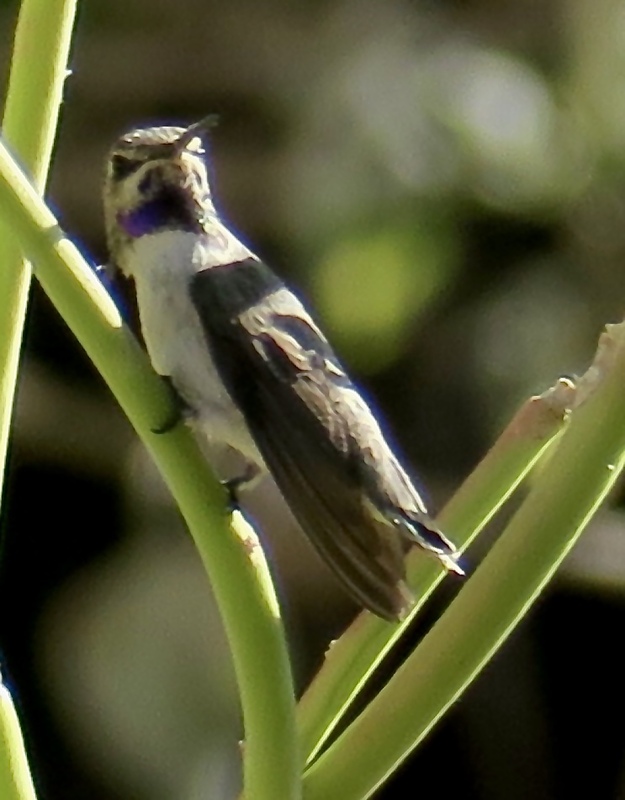 This was a tricky bird to identify as it shares many traits with other tiny birds like the phoebe or the larger robin-sized ash-throated flycatcher. 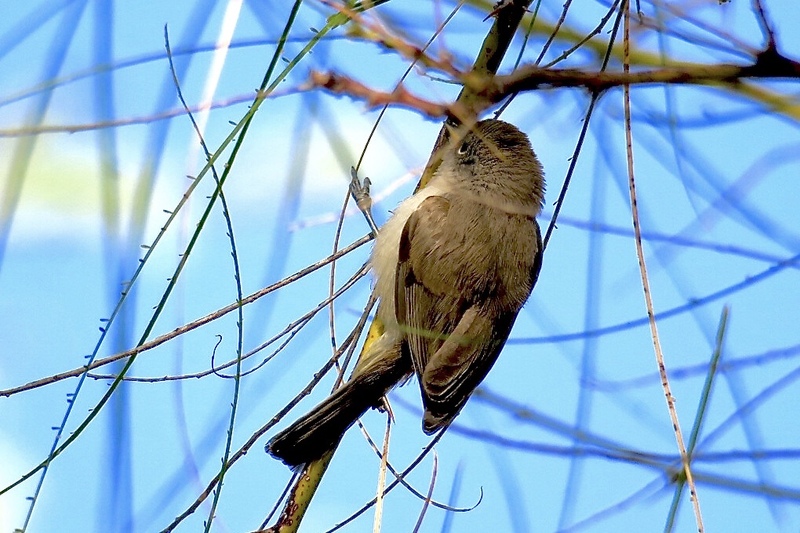 Ironically its name it longer than the bird – it is barely 4 inches in length. 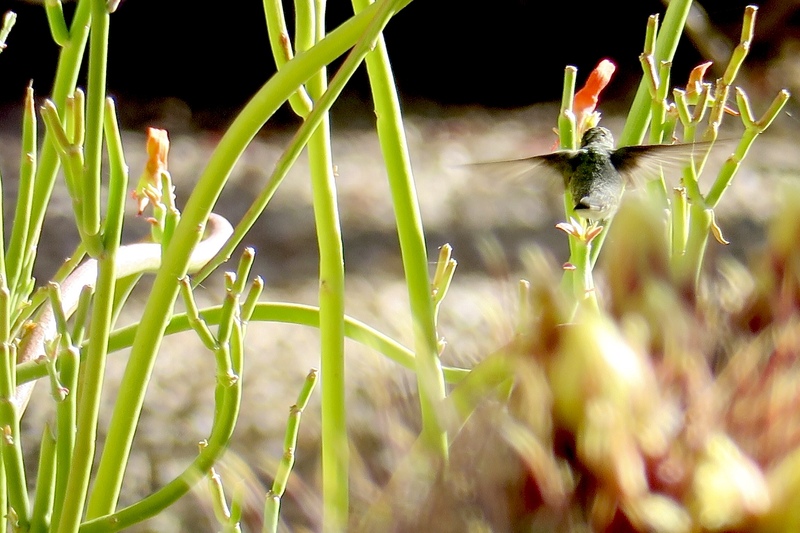 I consider myself very lucky to have spied it in the foliage and this was the only photo I took before it flew away. It is actually a rare visitor to the United States as its primary habitat is Mexico and Central America – it has only been seen in the southern US states of Arizona, New Mexico and Texas. It is considered a very reclusive bird so I am thrilled to have seen one. And I am not telling Border Control. 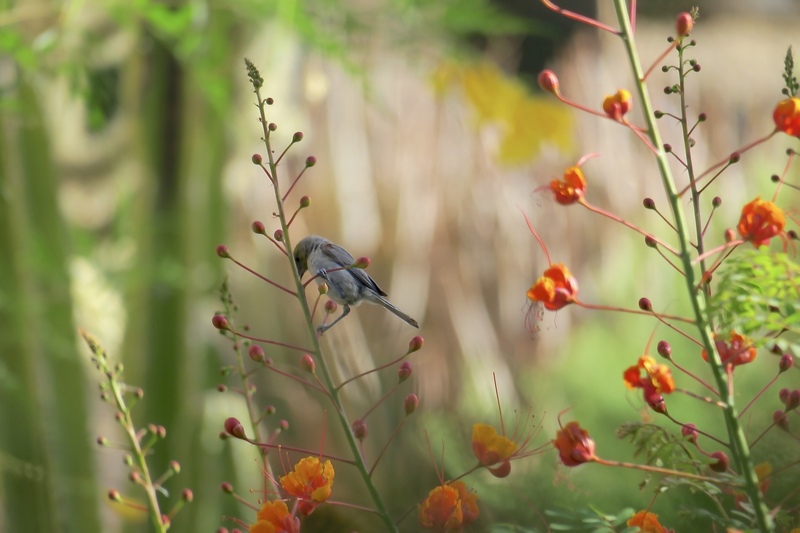 Despite its diminutive size, its name gives you a hint of its personality – it vigorously defends its nest against any small predators, similar to the above gnatcatcher – clearly these tiny birds have great big hearts. 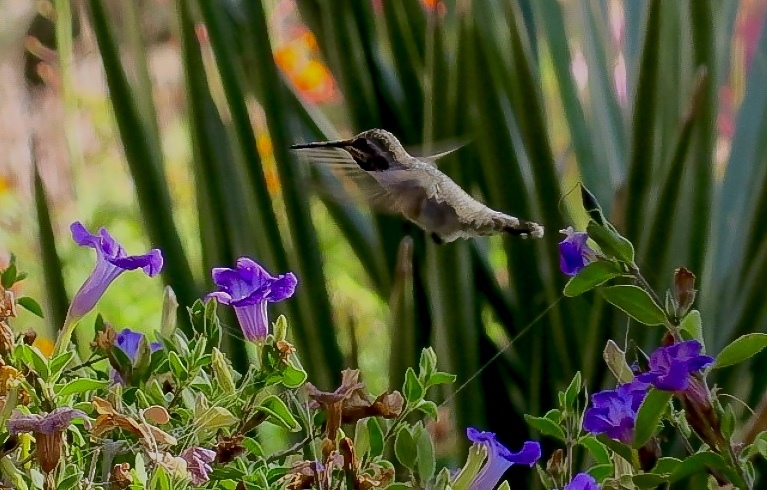 Perhaps the most recognizable tiny bird is the hummingbird, although there are also large species like the giant hummingbird which can reach lengths of over 8 inches. Most however are quite small – about 3 to 4 inches. Their most famous characteristic is not their size but rather their hovering ability. Their wings, beating about 80 times per second in a figure 8 pattern create that humming noise that gives these birds their name. They can maneuver left, right, down, up , backwards and even upside down. Their legs are only used for perching – they do not walk or hop. I am totally obsessed with these little dynamos and will have further posts on my attempts to capture their humming beauty in photos. 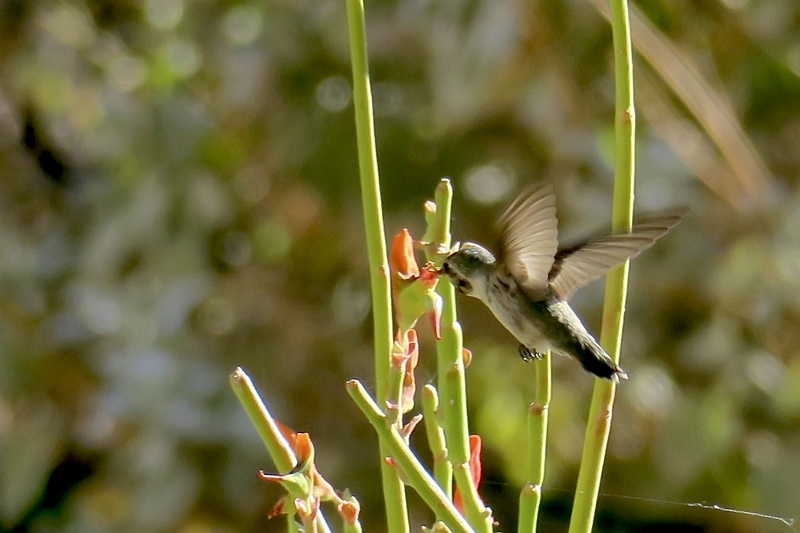 This entry was tagged ARIZONA, BIRDS, BIRDWATCHING, DESERT ., HUMMINGBIRDS, NATURE, PHOTOGRAPHY, SCOTTSDALE, tiny birds, TRAVEL. Bookmark the permalink.